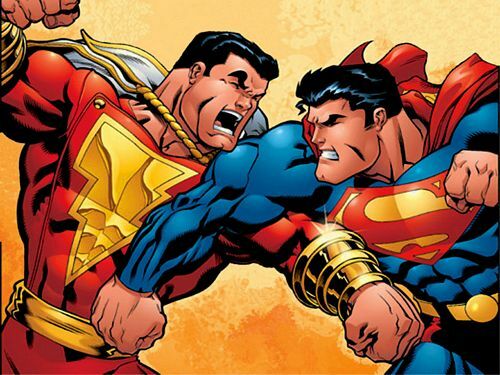 Captain Marvel (left) is shown here battling Superman. But the fact is that the Man of Steel won a copyright battle in the 1940s and 195os that cemented his position as a modern icon — and relegated his rival to the category of used-to-be’s. The fate of these muscular fictions was decided in a 1951 U.S. Supreme Court decision (see the Wikipedia entry for fascinating trivia). What was lost? Well, for one thing the word, “Shazam” isn’t as popular as it might have been had Captain Marvel continued to summon his powers on television by appealing directly to “the elders that empowered him: Solomon, Hercules, Atlas, Zeus, Achilles, and Mercury. Of course all that is in the past. But what is being lost or gained today by the application of current copyright law? Copyright protection does not seem to have protected professional creators, be they writers or artists of any stripe. The explosion of user-generated content is their chief competition; getting noticed over the chaos of creativity enabled by modern technology is their prime chore. Copyright matters little in clearing those hurdles in today’s Attention Economy. Instead, copyright seems to be the tool that corporate brands use to suppress new modes of delivery. For instance, Wired News commentator Eliot Van Buskirk laments about royalty rates “up to $110 per online listener each year” being levied on Web sites that re-broadcast radio. My friend, Berkeley blogger Dan (Infospigot) Brekke, wrote a cute piece for Salon titled “Tangled up in Seuss” about a musician who dared to parody “Green Eggs and Ham” in the voice of Bob Dylan — only to recant the work after a legal challenge by the Cat in the Hat. Hmmph. Many words have been spilled over the future of copyright. The Progress and Freedom Foundation, a think tank that favors laissez fair solutions, held an April panel discussion and issued a transcript of that proceeding, along with a summary. But I’ll be damned if there was a common thread. Stanford professor Lawrence Lessig is the anti-copyrighter, the prophet of mashup culture and the inspiration behind the Creative Commons alternative rights protection regime. But I think that movement is floundering, except in the sense of rage against the machine. This entry was posted in Media Law on June 13, 2007 by Tom Abate.